Andrew Neale is Technical Director at IGCH Ltd, a company best known for the online industry publication DailyDOOH.com, and co-founder and co-owner of Kaleidovision Ltd, a UK based company that specialises in the design, development, implementation and management of digital media networks. Over the past 20 years, Andrew’s work has involved IT infrastructure, OEM manufacture, TV broadcast, music systems, digital signage, high-end display and video wall systems and generic AV systems. His hands-on operational roles have given him a wide experience not just of the technical aspects of business, but also in planning and strategy, project management, client and supplier relationships. In 2009 Andrew co-published the Issy-Neale Formula, which is designed to provide a common framework for describing shapes of video displays made of smaller screen elements, and in 2012 co-authored ‘How MicroTiles Made An Impact At The London Stock Exchange’. 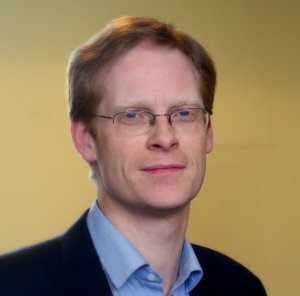 Andrew has been actively involved in the OpenSplash media player project since its inception, and is a member of its technical Steering Group.